Established in the year 1986, we, "Sagar Industry", are a prominent firm, which is engaged in manufacturing and supplying Garden Umbrellas, Tents, Umbrellas and Canopies. 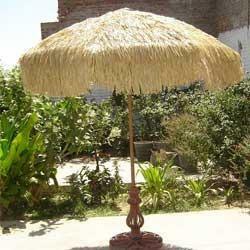 Finest grade raw material is used by us to manufacture these products. Our products are stringently tested on certain predefined industry parameters to ensure that these cater to the needs of varied sectors in an efficient manner. We are empowered by a team of sincere professionals, which assists us in our entire business process. Our professionals design these products in state-of-the-art manufacturing facility, using high quality raw material. This facility is equipped with all the advanced tools and equipment required in the production process. Owing to our excellent quality products, we have mustered clients like Fuma Umbrella, Madhwani Group (Africa), Jainson Umbrella and Riddhi Siddhi Textiles to name a few. We are headed by our skilled mentor, 'Shri Babulal Ji Baldota', who holds immense domain expertise and vast industry experience in his respective domain. Our firm was formed by him under the visionary guidance of Late Shri Sagarmal Ji Chopra, pioneer of umbrella industries in Falna-1954.